Next month we present our ‘Dissecting The Digital Dollar’ masterclass. 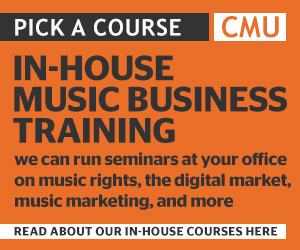 This half-day training course is based on the three years of research that CMU Insights has undertaken for the Music Managers Forum explaining how the streaming business works, the deals done between the music industry and the streaming services, and how digital income moves from digital platform through to artists and songwriters each month. Last week’s big music business news story was Sony Music writing to artists and labels explaining how it intends to share the profits that were generated by selling its Spotify stock following the streaming service’s direct listing earlier this year. The major labels and indie-label repping Merlin all secured equity in Spotify via their initial licensing deals. Following Spotify’s high profile listing, most of those companies have now sold off at least some of that stock, resulting in a nice little cash boost. Given that the majors secured their equity based on the value of the catalogue they own or control – so music from the artists they have signed and the indie labels they distribute – there was a belief in the music community that the big music firms had an ethical obligation to share the profits generated by selling that stock with their artists and label clients. Though whether the majors had a contractual obligation to share that money with artists and indie labels was of much debate. Very possibly not. Nevertheless, artist managers and indie labels began putting pressure on the majors – and Merlin-allied independents – to share the profits from any Spotify share sale long before the streaming service actually arrived on Wall Street. By the time that listing occurred, most labels had committed to share the equity sale profits with artists, and some had made similar commitments to distributed labels. Although the devil is in the detail of course. Hence all the interest in Sony providing some of that detail last week. At the Digital Dollar masterclass we’ll explain how the labels came to be Spotify shareholders in the first place, and why the labels are likely sharing these monies with artists and distributed labels, despite the legal ambiguities. The other big talking point around Spotify of late has been the rumour that is has approached certain artist managers about directly licensing music from those managers’ artists, cutting out the need for a label or distributor. Those deals would see Spotify secure a better royalty rate, the argument being that without a label or distributor taking a cut, the artists will still be better off. There has been lots of speculation over the years that Spotify might launch its own record company to reduce the costs of securing content. Some see these rumoured direct deals with artists as a first step in that process. Although, in reality, the deals that Spotify is offering artists aren’t quasi-record deals – they are the same licensing deals Spotify does with labels and distributors, just with artists direct. At the Digital Dollar masterclass we’ll explain what the deals done between Spotify and the labels look like, and therefore what these direct deals with artists are all about. We’ll also explain why doing direct deals with songwriters – or bundling song rights into these direct artist arrangements – would be much more complicated. A few weeks back the big streaming story of the moment concerned the explosive allegations against Tidal, which has been accused by a Norwegian newspaper of fiddling the figures around Beyonce and Kanye albums that it was exclusively streaming. Tidal, of course, has strongly refuted these claims and hit out at the newspaper behind them. Whether or not those allegations have any substance won’t be a topic of discussion at the Digital Dollar masterclass, though we will explain why – if true – the fiddling of figures by a streaming service isn’t just about creating fake stat brags. It affects how royalties are distributed. And it doesn’t just mean the beneficiaries of the fiddling get paid more, it also potentially means everyone else gets paid less. This is because the core streaming business model is revenue share based on consumption share. It’s a slightly complicated process that the streaming services go through each month to work out who is owed what monies, but we’ll explain that process in detail at the masterclass and why it means that artificially boosting one artist’s stats could cost other artists money. One of the big talking points in the US music industry at the moment is the major package of copyright reforms being considered in Washington right now, which brings together various previous proposals under the banner of the Music Modernization Act. Perhaps the most important element of those proposals is the move to fix the big mess that are mechanical royalties Stateside. Many US songwriters have not been paid all the mechanical royalties they are due from all the streaming services, resulting in a flurry of copyright infringement lawsuits. Although the streaming services argue that they’d gladly pay those royalties if only there was a simpler system in place to do so. What the streaming services basically want is a system in America more in line with the system in place in most other countries for paying music publishers and songwriters the royalties they are due. The Music Modernization Act aims to do just that, launching a proper mechanical rights collecting society in the US for the first time. The way publishers and writers are paid their streaming royalties is complicated everywhere, but particularly messy in America. At the Digital Dollar masterclass we’ll explain the complexities, why specific issues have arisen in the US, and how the MMA seeks to solve those problems. Oh, and just in case you’re wondering, we’ll explain what ‘mechanical rights’ are all about too. It feels like we’ve been reporting on the proposed new European Copyright Directive forever. Those proposals, to reform copyright laws across the European Union, are now in the final stage of negotiation in Brussels. That has resulted in a sudden flurry of campaigning online against article thirteen of that directive which – those campaigners say – is going to ruin the internet. But the music industry, which lobbied hard for article thirteen to be included, reckons that far from ruining the internet, it’s going to fix the digital music market. Article thirteen aims to reform the so called copyright safe harbour that we have written about so many times over the years in the CMU Daily. At the Digital Dollar masterclass we’ll explain what the safe harbour is, why the music industry wants it reformed, and what article thirteen might mean in practical terms. The ‘Dissecting The Digital Dollar’ masterclass takes place on Monday 2 July at the London HQ of Lewis Silkin. 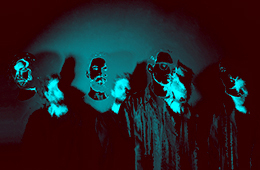 Tickets are just £79 and are available here. MMF members can get in for £50 by using the special discount code the organisation has distributed.